Our personal favourite is Ski Mium. The quality of the hire skis and boots are pretty good, especially if you go for one of the higher packages, and they offer really good value for money. They have a shop in Chamonix Sud, approximately a 5 min walk from our apartment. You can get equipment quite a lot cheaper if you reserve on line before arriving, with this also speeding the process up quite a lot meaning you can get on the slopes quicker! The company also have another shop near the university in central Chamonix on the road out towards Argentiere. This one is called Sanglard Sports. 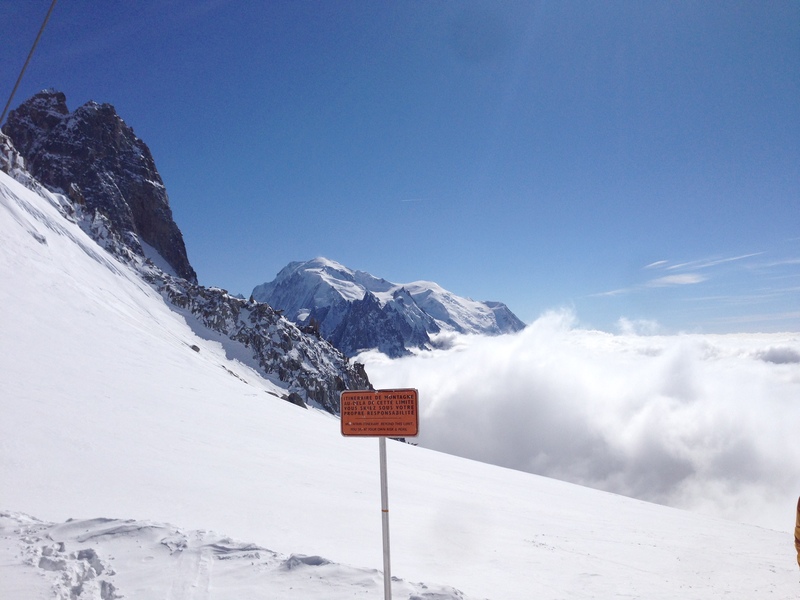 If you're just starting out on the mountains or wish to improve your skills to get more out of your holiday in Chamonix then ski lessons could be the answer. There are lots of companies that offer lessons in Chamonix, from the world famous ESF to companies that cater specifically for English clients. ESF Ski School - Chamonix: Been around forever with the majority of instructors born and bred in the Chamonix valley. Evolution 2: Ski and snowboard lessons catering for all clients, especially those that speak English. PERSONAL RECOMMENDATION: Our friend, at 35 years of age, has recently just spent three days working one on one with Laurence Monnoyeur who is a fully qualified instructor, who works both independently and through Chamonix Sport Aventure. 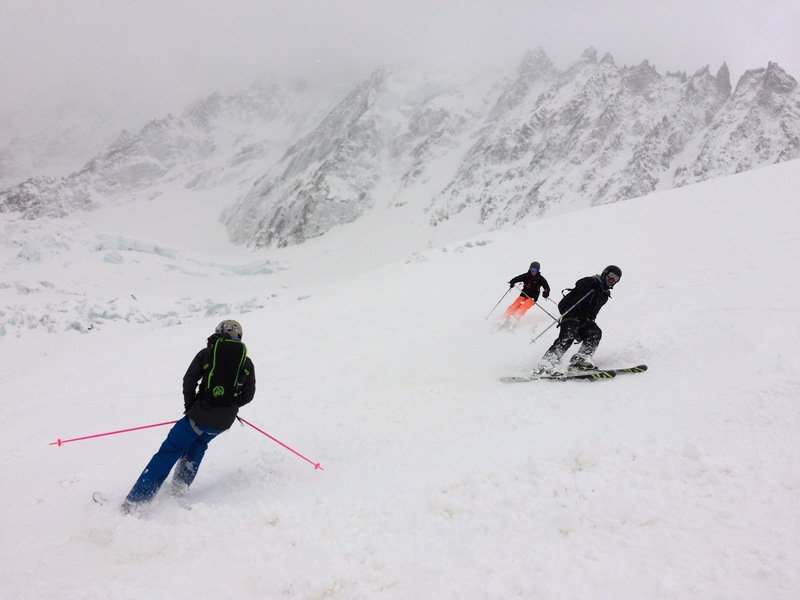 Three days to go from beginner to confidentially skiing down Red runs in Chamonix (which we all know are like Black runs in most other places!) we think is testimony itself! Contact Laurence by email directly at lmonnoyeur@hotmail.com to arrange your mountain adventure. Chamonix has some of the best free ride in the world. If you want to get the most out of your time its a great idea to hire a guide. Most guides will give you some hints and tips, whilst taking you to areas where you see no others! Whether its simply in the search of powder, or a day touring, you'll find all the help you need to have an amazing day in Chamonix at one of the many ski schools around town. PERSONAL RECOMMENDATION: We have had our best ever day off piste enjoying the Vallee Blanche. There are 4 well known routes. 1 relatively easy path down and 3 other more technical routes ensure that most ability levels are catered for, as long as you can manage the rather scary walk down the ridge edge before you get to the skiing! Our High Mountain Guide on this day was DENIS POUSSIN and he was amazing. His knowledge of the mountain terrain is second to none and he is a really nice guy to boot! He can be contacted directly on +33 682693773.